Prominent Saudi journalist Jamal Khashoggi was dismembered after being murdered some two weeks ago inside the Saudi consulate in Istanbul, international media outlets reported. According to CNN, Al Jazeera, and RT, all of which corroborate The New York Times’ initial claim, a Turkish official confirmed to CNN Tuesday night that Khashoggi’s body “was cut into pieces” after he entered the consulate. The NYT’s initial claim came after Turkish authorities finally entered the building to conduct a nine-hour long search. Privately, however, the officials from Ankara have stated that Khashoggi, who was a columnist for The Washington Post and a critic of Saudi Arabia, its policies, and its Crown Prince Mohammed bin Salman, “was killed in the consulate on October 2 after he arrived to obtain papers that would have allowed him to marry his Turkish fiancée, Hatice Cengiz. “Saudi Arabia has previously insisted he left the building alive, but Cengiz says she never saw him again,” CNN added. Some 15 Saudi nationals had flown into the Turkish city of Istanbul earlier this month to make Khashoggi “disappear” and possibly carry out the murder, according to what Turkish authorities believe, in what is awfully reminiscent of Tarantino’s 1994 classic film, Pulp Fiction. Of the 15-member hit team, seven’s passport scans were made available to CNN. The copies were “taken on the day of Khashoggi’s disappearance”. Included in the passports is that of Salah Muhammad al-Tubaiqi, the Saudi interior ministry’s head of forensic medicine, and Muhammad Saad al-Zahrani, an official who has appeared on Riyadh’s national television alongside Crown Prince, also referred to as MbS. Eight of the 15-member hitmen were identified by the Turkish Anadolu News Agency. Interestingly, earlier in the day, Turkey’s President Recep Tayyip Erdogan had said he hoped “we can reach conclusions that will give us a reasonable opinion as soon as possible” since the investigators were “looking into many things such as toxic materials and those materials being removed by painting them over”. This was also confirmed by CNN, whose team “saw a cleaning crew enter the main consulate building on Monday before Turkish officials, including a forensics team, arrived to begin their investigation”. On the other hand, RT reported that “a ‘high level’ official told the AP earlier that police had found ‘certain evidence’ of the killing after the search”. 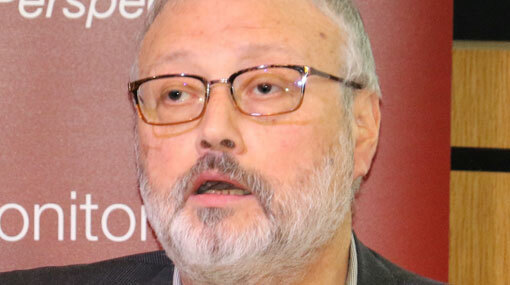 Separately, a source told Al Jazeera that the entire killing process took nearly seven minutes and said al-Tubaiqi, the Saudi forensics expert, was the one who dismembered Khashoggi’s body and asked his colleagues to listen to music while he did it. On Monday, a Turkish official and a security source had said Turkish authorities had an audio recording that indicates that Khashoggi was killed in the Saudi consulate. “Turkish police have an audio recording that indicates that Khashoggi was killed in the Saudi consulate”, the security source had told Reuters. It is important to note that Saudi Arabia’s consul general in Istanbul Mohammad al-Otaibi left Turkey late Tuesday for Riyadh via a commercial flight hours before his residence was expected to be searched by Turkish police, Turkish broadcasters said. Mevlut Cavusoglu, the Turkish minister of foreign affairs, has said Turkey had not received a confession from Saudi Arabia regarding Khashoggi’s disappearance. US State Secretary Mike Pompeo would bring more information when he arrives in Turkey after a visit to Saudi Arabia, he added. Cavusoglu noted that the Turkish officials would extend their investigation to include the residence of the Saudi consul and some vehicles. The Turkish official said evidence showing that Khashoggi had been killed was being shared with countries, including Saudi Arabia and the US.